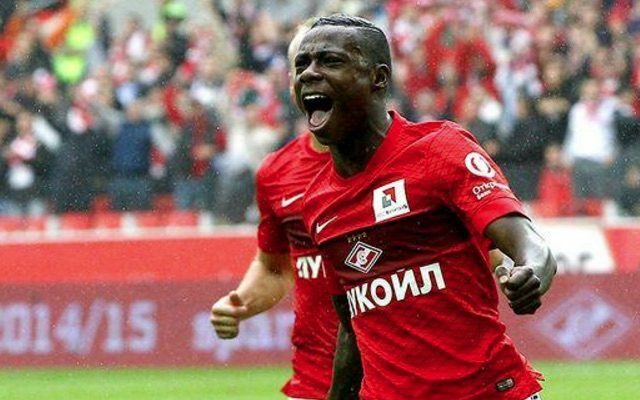 Southampton are closing on the rather impressive signing of Spartak Moscow’s Dutch winger Quincy Promes, reports Sky Sports. The flyer currently plies his trade in Russia and has been regularly linked with Liverpool since Jurgen Klopp took the reigns. However, we’ve never made a substantial bid for his services, instead turning our attention to Mo Salah in summer 2017 – and thank God we did! But whenever Southampton do have a relatively good player amongst their ranks, they inevitably end up at Liverpool. It must do their fans’ heads in, to be fair. Adam Lallana, Dejan Lovren, Rickie Lambert, Nathaniel Clyne, Sadio Mane and Virgil van Dijk have all made the move from St. Mary’s to Anfield – and everyone on Twitter thinks Promes will eventually do the same! Welcome to Liverpool 2020 Promes! Southampton are buying Promes. Knew he’d end up at Liverpool eventually. Summer 2019. Southampton report Liverpool of tapping up as Promes is seen with Klopp at Disney World. Year 2025 Liverpool accepted 180m€ offer for quincy promes from Barcelona. Looks like promes to liverpool in summer 2021 for 85 mill …. Just read that Southampton are close on signing Quincey Promes and Guido Carrillo. In other news Liverpool will be keen on Quincey Promes and Guido Carrillo come 2020.